What happens when you discover Truth is a lie? Ewan's shock revelation sends Vee's life further into chaos, and she faces an uncertain future in a secret world she never knew existed. Vee joins the Four Horsemen's hunt for those behind the plot to murder a fae queen, where she discovers society faces bigger dangers than she realised. 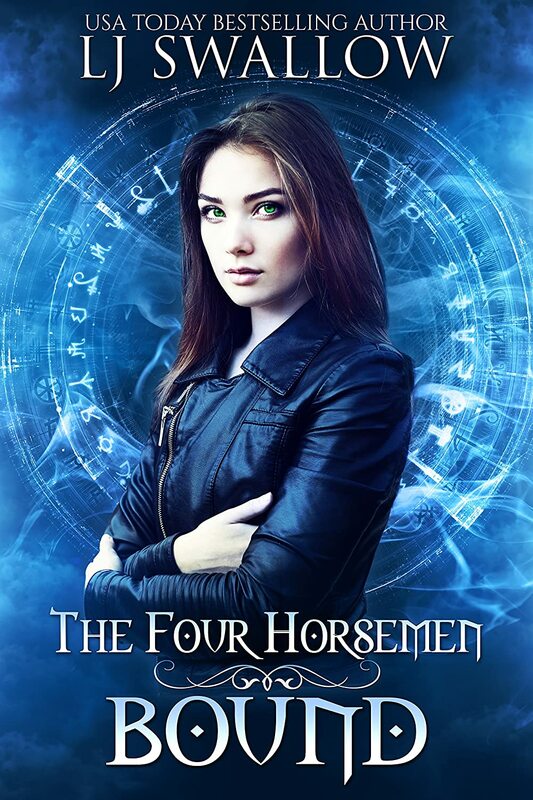 The Four Horsemen now have their missing link and will each do anything to protect and support her, but Vee's determined to show them she can be their equal. One night changes everything and increases Vee's determination to harness her power and step into her new role. The group are about to find out exactly how powerful Truth is. Bound picks up where Legacy leaves off. Vee is still reeling from the revelation that she has learned. That she is something more and that she has always been. Questions arise, what is real, what dangers does she face, what is after her, how will she know who is human and not, can she defend herself and what does she do with building attraction to all the other Horsemen? When an incident happens at a night club, Vee is more determined than ever to learn all that she can to defend herself and others. She is also weakening in her fight against the attraction she feels for Joss, Heath, Xander and Ewan. Each one tests and helps her in their own way. I have to say Xander I am still on the fence about, at times I don't like him but other times you catch a glimpse behind War's hard exterior. I really enjoyed Bound, we are left with a cliffhanger that sets up Hunted perfectly. Overall Bound was a great addition to the Four Horsemen Series and I would recommend this for any RH paranormal fan.